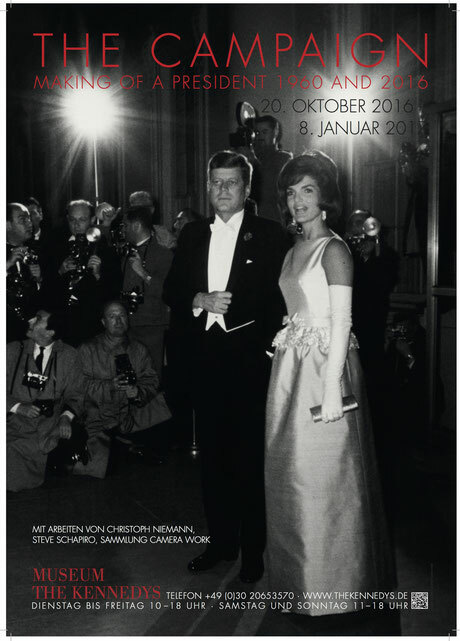 Museum THE KENNEDYS is proud to present »Obama: An Intimate Portrait,« the first exhibition on the Obama presidency in Germany, opening on November 4 — the anniversary of Barack Obama's first election to the office of President of the United States. 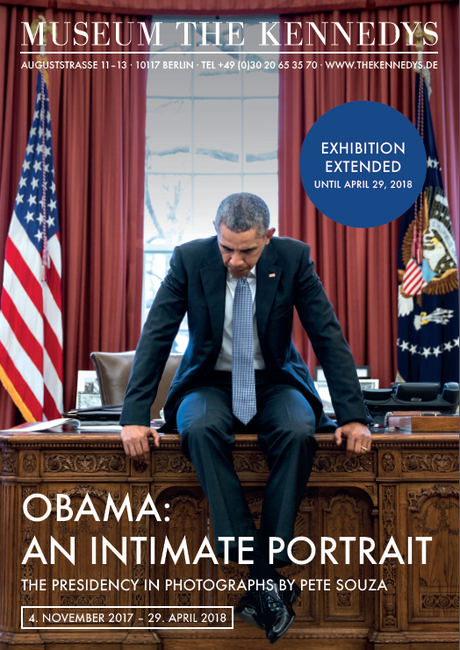 All 65 exhibition photographs are taken from the oeuvre of Pete Souza, former Chief White House Photographer (2009-2017). Is it too early to commemorate Obama in a museum? The term of the 44th President of the United States only ended on January 20th of this year. And yet, it already seems very much in the past; partly due to the overwhelming presence of his successor, Donald Trump, who is beginning to invert Obama's political legacy. According to political scientists, Trump’s election marks a turning point in the political culture of the United States and, like no other event, signifies the deep ideological and economic division of the American society. This is more than reason enough to look back at the preceding era of Obama with this exhibition. The first topic deals with the challenging everyday work of the president’s full-time photographer and describes the special relationship between Souza and Obama. 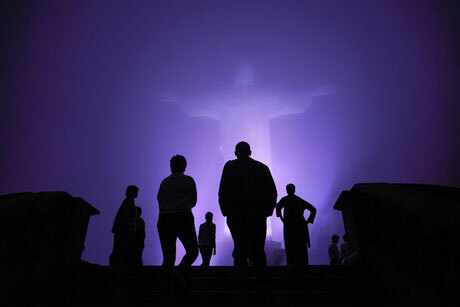 Due to his work for National Geographic and Life, Souza is regarded as one of the most renowned photojournalists of his generation. Between June 1983 and January 1989, Souza had worked as Chief White House Photographer. For six years he documented Ronald Reagan's presidency. In 2005, he began to document the political rise of then-young US Senator of Illinois, Barack Obama. The election of Obama to the office of the US President on November 4, 2008, led Souza back to the White House. An interesting »reading aid« for the photographs are the detailed captions provided by Pete Souza which offer an insightful look behind the scenes of the White House. 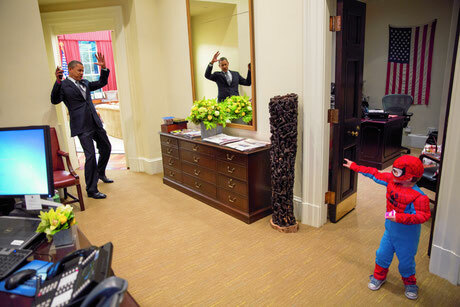 With »The Obama Image,« the exhibition sheds light on the representation of Barack Obama. Since Kennedy, no president has switched as skillfully as Obama between the roles of US president, pop icon and family father. But what comprised the core of the »Obama Image« and what role did the photographer himself play in the way the first African American president was portrayed? The third chapter »Obama: What remains?« deals with Obama's political heritage. At the beginning of Obama’s term expectations were enormous and were only boosted when he was awarded the Nobel Peace Prize during his first year in office. But what remains from the president’s double term and how will history judge his presidency? We dare to make a first prediction. A prominent feature of the Obama presidency was the president's rhetoric. Who does not remember the battle cry »Yes we can!« that echoed throughout the 2008 election campaign. Sometimes solemn, sometimes fierce, sometimes reproachful: Obama's talent to put complex thoughts and emotions into words was, and still is remarkable. For that reason, there are quotes written on the walls of this exhibition which coined their respective year in office. They refer to the months-long struggle for a health care reform, the fight against international terrorism, Berlin’s special significance, the hope of overcoming racial and immigration problems, and conclude with an appeal to the citizen's responsibility and creativity – a keynote of Barack Obama's candidacy in 2008. In this sense: you are welcome to engage with a piece of contemporary political history at THE KENNEDYS. We are looking forward to your visit! »I have a dream« - these words by Martin Luther King Jr. symbolize the idea behind the Civil Rights Movement of the 1960s: the dream of a world without racism and discrimination. 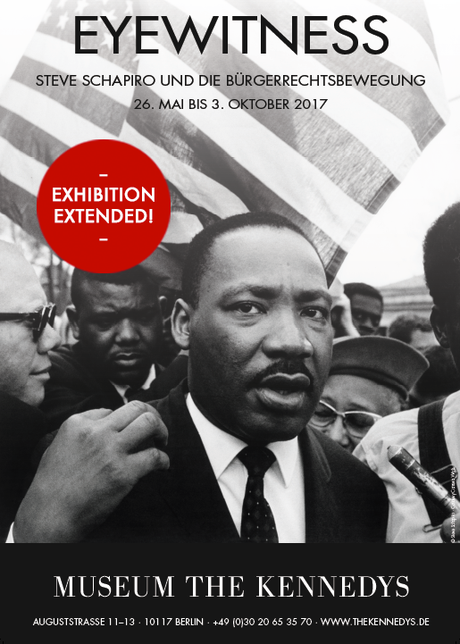 The special exhibition »EYEWITNESS: STEVE SCHAPIRO AND THE CIVIL RIGHTS MOVEMENT« is dedicated to this idea and follows the footsteps of those activists who have fought on the frontlines for the equality of African-Americans. Within the framework of the exhibition, Museum THE KENNEDYS presents 42 black-and-white photographs of the renowned photographer Steve Schapiro. 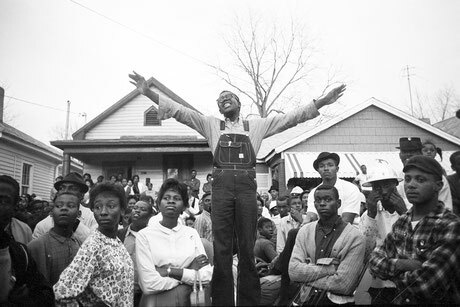 As an »Eyewitness«, Schapiro documented the crucial moments of the Civil Rights Movement between 1962 and 1968. Among them the legendary Selma-to-Montgomery-March of 1963. The pictures are kept in a social-documentary style and originate from the artist’s early work. They impressively depict the everyday struggles of the African-American population in the Southern states and their passionate protest for a more just society. In their entirety, the photographs produce a striking documentation of the enormous social change that occurred in the United States during the decade. Five protagonists, who have shaped the public image of the civil rights cause give the visitor an understanding of motives, means and objectives of the movement. Martin Luther King Jr., the leader and unifying force, Rosa Parks, the initiator of the first protests, James Baldwin, the writer who provided the literary soundtrack of the movement as well as Muhammad Ali, who like no other embodied the new African-American self-confidence, and Robert Kennedy on whose shoulders the hopes for political change rested. But why were people protesting in the first place? Despite the abolition of slavery that resulted from the aftermath of the Civil War, the situation for Black Americans in the 1960s was still dismal, especially in the South. Here, they were still treated as second-class citizens. Segregation was the law of the land, which meant that public buildings and transportation were divided into two sections: white and black. The areas designated for Black people were usually threadbare at best or simply left to decay. Restaurants, bars and other private institutions often did not even grant Blacks entry into their establishments. Furthermore, lawmakers actively sought to exclude Black people from political participation by introducing perfidious and demeaning laws: e.g. in order to qualify to register to vote, prospective Black voters had to pass literacy tests. Resistance started to form in the South in 1955: when Rosa Parks, a young Black activist, refused to give up her seat in the »white« section of a bus, her protest quickly attracted the attention of the whole nation and with Martin Luther King Jr. as its leader a new protest movement was born. Inspired by Mahatma Gandhi, King Jr. and his fellow activists followed the strategy of non-violent resistance. This movement would go down in history as the Civil Rights movement. In this context, Steve Schapiro plays a decisive role: with his photographs, he was able to draw attention to the protests in the South, especially to the Selma-to-Montgomery-March. 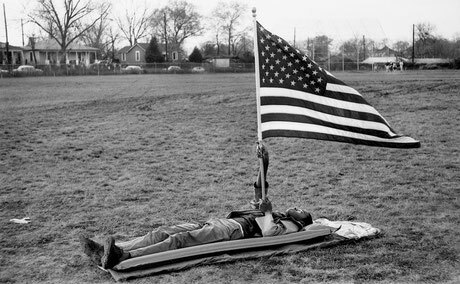 Schapiro’s pictures have been engraved deeply into the United States’ public consciousness and led to a wave of solidarity with the movement throughout the country, the U.S. government included: only four months after the activists had successfully completed the march to Montgomery, President Lyndon B. Johnson signed the Voting Rights Act which guaranteed unrestricted voting rights to all Americans, no matter the color of their skin. It is for that reason that the march is considered a turning point in the history of the Civil rights Movement up to this day. A tour of the exhibition offers vivid insights into a time not long passed during which U.S. society experienced substantial change. Schapiro’s work invites the visitor to reflect on the accomplishments of the Civil Rights Movement as well as on the prevalent challenges on the way towards a society without racism and discrimination. 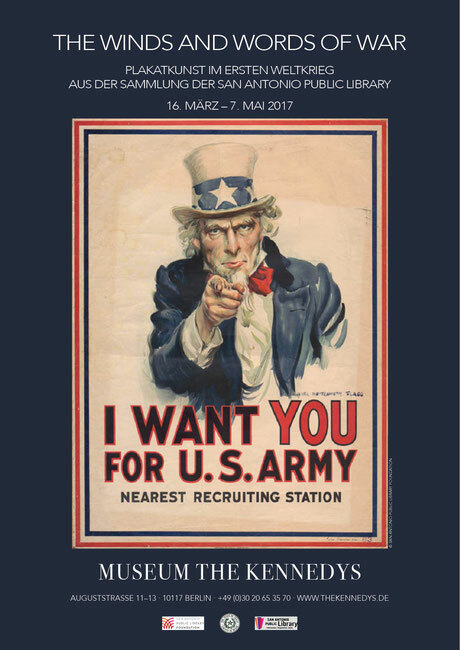 »I Want You For US Army« - this slogan paired with Uncle Sam's grim glare has been a hallmark of popular culture ever since it first appeared on a recruitment poster for the U.S. Army in 1917. 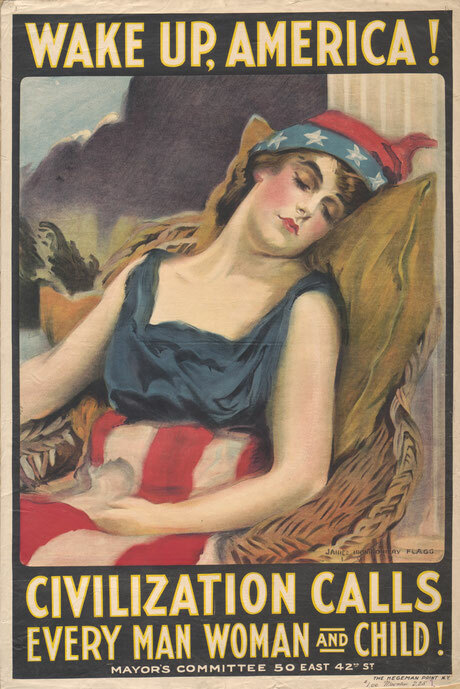 The special exhibition »The Winds And Words Of War« commemorates the centennial of America's entry into World War I and sheds light on the compelling stories behind 40 iconic recruitment posters. For the first time, visitors outside the United States will be able to experience their potency at the museum THE KENNEDYS. Created between 1917 and 1918, these placards were the cornerstones of the biggest propaganda campaign the U.S. government had ever initiated. The intention was to convince Americans that entering the war was nothing short of a necessity. At the same time, the posters had to lure as many young capable men into recruitment offices as possible. This huge campaign effort was necessary for two main reasons: until 1916, America’s foreign policy was characterized by an unwillingness to interfere with European affairs. Additionally, at the beginning of the war, the United States was on the cusp of becoming the world’s leading economic power, taking over from Great Britain. Consequently, trying to convince Americans in 1917 that joining the allies in the war was necessary was, to quote President Woodrow Wilson, an »Herculean task.« Their support was indispensable – the US Army had a mere 110,000 soldiers at the ready, a number almost laughable in comparison to the millions of soldiers fighting in European armies. It was for this very reason that the Committee on Public Confirmation was founded in 1917. 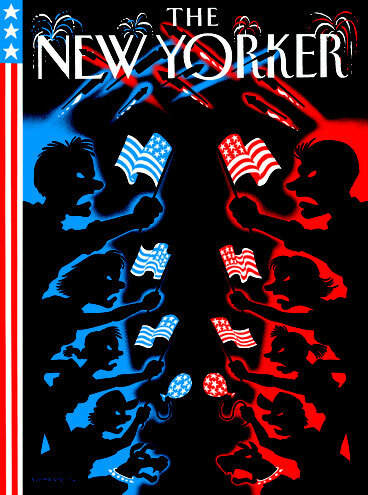 It brought together America’s leading graphic designers and let them contribute to gearing up the population for war using images and words. 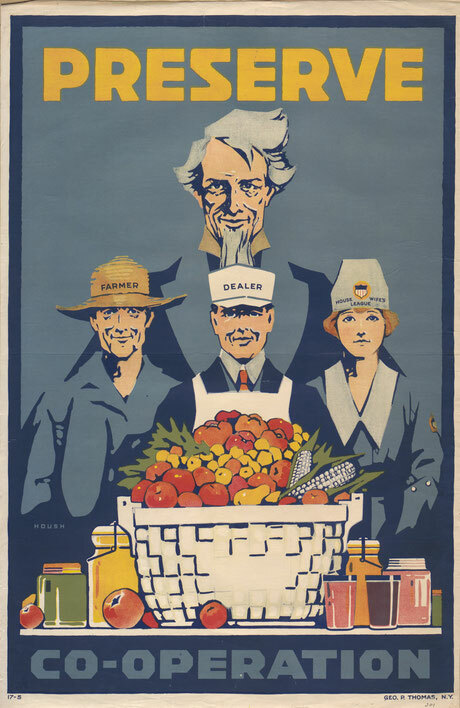 Particularly interesting to note is the large variety of addressees and themes depicted in the posters: young men, housewives, farmers, and Jewish Americans – to mention only a few – were being courted with many different opportunities to get involved in the war effort. The fruits of the artists’ labor can be appreciated in this special exhibition. The second part of the exhibition is dedicated to the vital role of the city of San Antonio during World War I; historical photographs and the documentary »Wings« show a rapidly changing and growing city. Far away from the war-torn trenches of Europe in the military camps surrounding San Antonio, young men were trained and drilled to join the war overseas. The black and white photographs open up a new perspective on a well-known part of history. A selection of over 60 works from the prestigious photo collection of CAMERA WORK AG gives an insight into more than a hundred years of the history of photography. It also comments on the lives and careers of 30 female virtuosos of photography. Visual art writes visual history. This is reflected in visit to a museum: artworks give an insight into the past and let the beholder conclude on it. It catches one’s eye that mainly a »male perspective« on the centuries has been documented. Works of female artists are represented secondarily in most museum collections. Therefor, explanations are manifold. Compared to painting the relatively young medium of photography has brought about some change: while men were able to attend photography schools from the 1850s on, at first there were no institutes open to women. However, this changed already at the end of the 19th century. In 1890, Lette-Verein opened Berlin’s first photography school for women and thereby became Germany’s first school where women could take professional photography classes. A second aspect contributing to that change was the rapid technological development of photography itself. For that reason, photography and camera operation became a mass phenomenon. American photographer Gertrude Käsebier opened her own photo studio in New York in 1897. Two years later, her print of »The Manger« sold for $ 100–the most ever paid for a photograph at that time. Käsebier is one of the most influential exponents of pictorialism, a style of photography based on naturalism, impressionism, and symbolism which was popular from the end of the 19th century until World War I. After World War I, pictorialism steadily lost ground to experimental photography which dealt with the mutually technical possibilities of photography. Female photographers like Berenice Abbott or Diane Arbus became accessible to different genres and had a great impact on forming a new way of seeing. As a result of World War II, modern experimental photography came to a downfall, especially in Germany. »Some female photographers took refuge in apparently unpolitical regional-themed landscape photography,« elaborated Evelyn Schielke in Frankfurter Allgemeine Zeitung, September 23, 2001. By war’s end, artists began to focus on reality again. It were mainly female photographers who documented life among expanses of ruins. Dorothea Lange and Margaret Bourke-White became famous for their war and documentary photography of the late 1040s and 1950s. Lee Miller’s shots of the liberation of the concentration camps in Buchenwald and Dachau are among the most important photographs of the 20th century. Female photographers also established themselves aside from war photography. They documented current affairs and also found their way into various work areas like fashion and theatre photography, photo journalism as well as advertising and industrial photography. Already in the 1920s, becoming a photographer had turned into a promising career option for daughters of upper class families, such as Jacqueline Lee Bouvier. From 1951 on, the daughter of a wealthy family wrote a column for Washington Times-Herald. Its name: »Inquiring Camera Girl.« Therefor, the young college graduate took pictures of residents of Washington, D.C. and interviewed them questions on current political issues. This experience and an assisting position at Vogue sensitized her eye for the power of images. Later on, her insight became extremely valuable for her future husband’s political career. In the post war years, fashion photography experienced a renaissance and was further developed. Female photographers like Lillian Bassman and Louise Dahl-Wolfe contributed immensely to a new interpretation of fashion. Dahl-Wolfe’s style influenced the work of famous fashion photographers like Irving Penn and Richard Avedon significantly. Photography has consistently allowed autodidacts to build up a career. 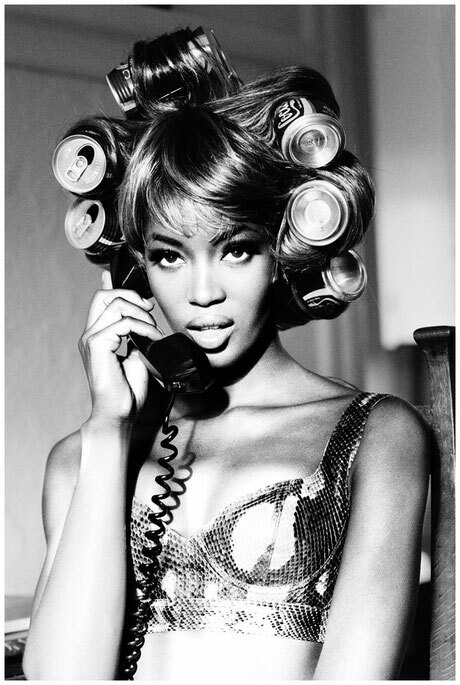 German model Ellen von Unwerth, for example, found her passion for photography while being on a photo shoot in Kenya. She was soon able to publish her work in magazines like Elle, Vogue, and Vanity Fair. French photographer Bettina Rheims, too, first worked as a model before she began to work as an artist on such as topics of transsexualism and transgender. 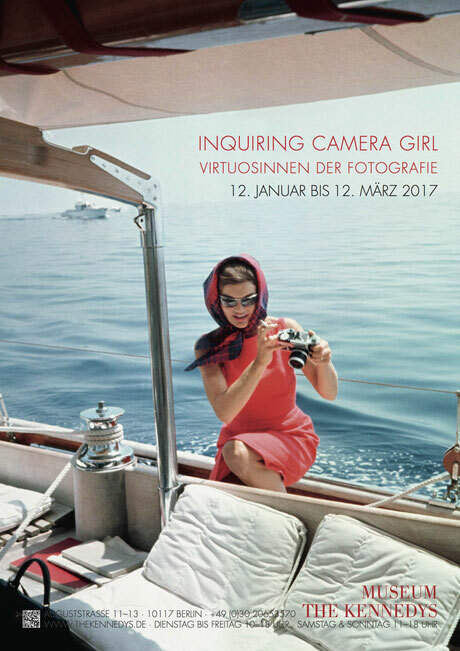 A tour through the special exhibition »INQUIRING CAMERA GIRL–FEMALE VIRTUOSOS OF PHOTOGRAPHY« offers not only an insight into events and developments of this and the preceding century, it also illustrates the life and work of outstanding artists whose pictures shaped our view of the past and present. The Kennedys ran the first modern presidential campaign in U.S. history. Never before was the media of greater importance, and never before was the image of a president more pertinent. The family thus set a precedent for all succeeding election campaigns in the history of the United States. There is hardly any political office comparable to that of the American presidency. How many presidents have already written history and thereby embedded themselves into the national memory? Who are those individuals that endure the everlasting scrutiny of the media and carry the burden of campaigning and subsequent execution of the nation’s highest office? In short, what does it take to become U.S. president? The special exhibition »THE CAMPAIGN–Making of a President 1960 & 2016« seeks to answer these questions on the basis of six significant factors surrounding a presidential campaign. Presidential candidates are representatives of their time. Political circumstances determine which presidents are elected and which solutions find support in the population. What, then, did John F. Kennedy represent in 1960, and what do Hillary Clinton and Donald Trump represent today? 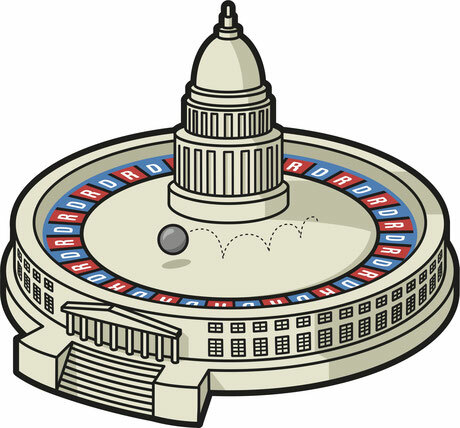 Often times it is said that financial means are indispensable for U.S. elections. However, what role does money really play? Is it possible to »buy« an election? Is multi-billionaire Donald Trump therefore in the superior position? The influence of money in the 1960 presidential campaign as well as its role today is illustrated. Furthermore, presidential campaigns rely on volunteers to support the candidates. An effective campaign enables the mobilization of sizable crowds. Robert F. Kennedy–John’s younger brother–was a key figure in the 1960 campaign. Today, both Hillary Clinton and Donald Trump rely on the support of their families. While it might have been sufficient to solely count on the family in 1960, in 2016 a much greater number of personnel is needed to reach the electorate. In the United States, politics has always been embodied by the individual candidates. This makes the image of a candidate a decisive factor for success in the elections. Utilizing the media in order to perpetuate one’s image is therefore crucial. Ever since 1960, television has been a key instrument to publically portray presidential hopefuls, and today the internet has gained increased significance with regard to this issue. Naturally, the evolution and development of media is a central component to American elections. In 1960, the first ever presidential debate was broadcasted on television. 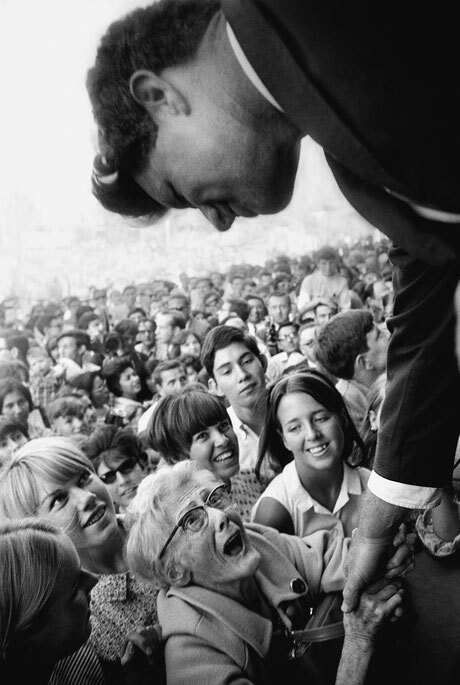 Its significance was enormous and ultimately swayed the election in Kennedy’s favor. Nowadays, social media is consistently gaining in relevance and contribute to the rapid spread of political messages. The most decisive factor in the contest for the presidency is and remains, of course, the electorate. In 1960, Kennedy was performing a tightrope walk by attempting to win over the black community, while at the same time appeasing the traditionally conservative electorate in the South. Presently, Hillary Clinton is seen as the champion of female voters and Hispanics. Trump, on the other hand, claims to be the front-runner for conservative, middle-class Americans.